We love what we do here at Salt Lake Dental Care! Our dentist in Salt Lake City is eager to provide you and your family with high-quality and personalized dental care. We use advanced technology and skilled methods, combined with a friendly chairside manner and warm customer service, to serve our patients and build healthy, beautiful smiles. Our knowledgeable and caring dentist, Dr. Clint Blackwood, DDS, is looking forward to sharing his dental passion with you and treating your teeth to produce long-lasting and aesthetic results. 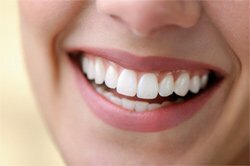 If you’re looking for a great way to improve the way you look and feel, talk to our Salt Lake City dentist about our cosmetic dentistry treatment options. Our services to make your smile dazzle again include teeth whitening, Invisalign®, Six Month Smiles®, porcelain veneers, crowns and bridges, dentures, and dental implants. Dental implants can restore function and beauty to your smile by replacing any missing or damaged teeth. Dental implants are a great long-term solution to restoring your teeth so that you can eat and speak comfortably again. 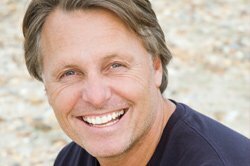 Our dentist can customize your implant so that it blends in naturally alongside your other teeth. Are your wisdom teeth bothering you? Wisdom teeth are often a source of discomfort for patients and can cause teeth to shift, and in worse scenarios, they can lead to serious infection. Our team offers wisdom teeth extraction to relieve aches or prevent any potential complications that commonly arise from this third set of molars. If you’re wanting dental care for you and your loved ones that is professional, modern, and friendly, come to see our office for yourself and meet our dentist Salt Lake City in person! We are dedicated to providing dental treatments that can effectively and comfortably meet your oral health needs. Give us a call to schedule an appointment with our team!